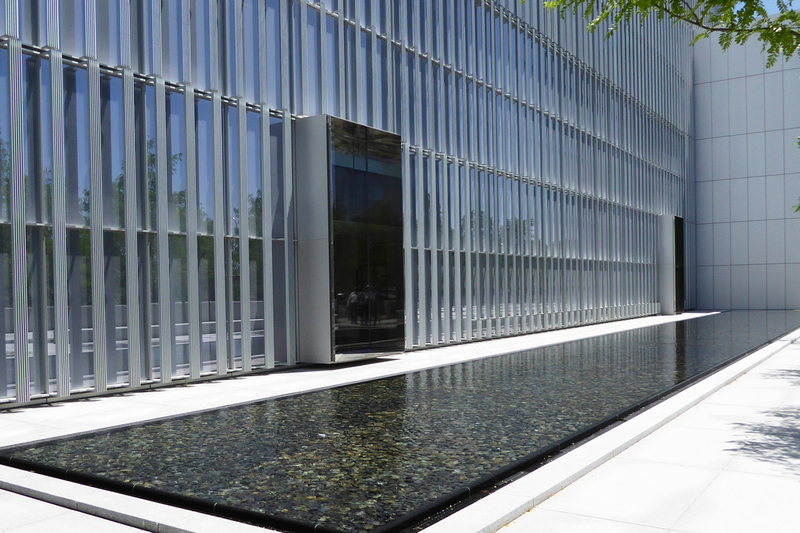 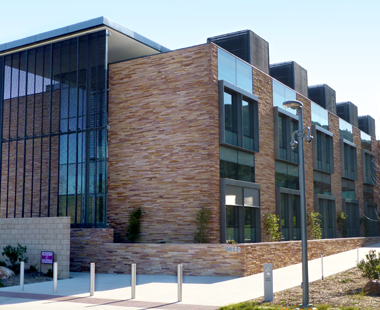 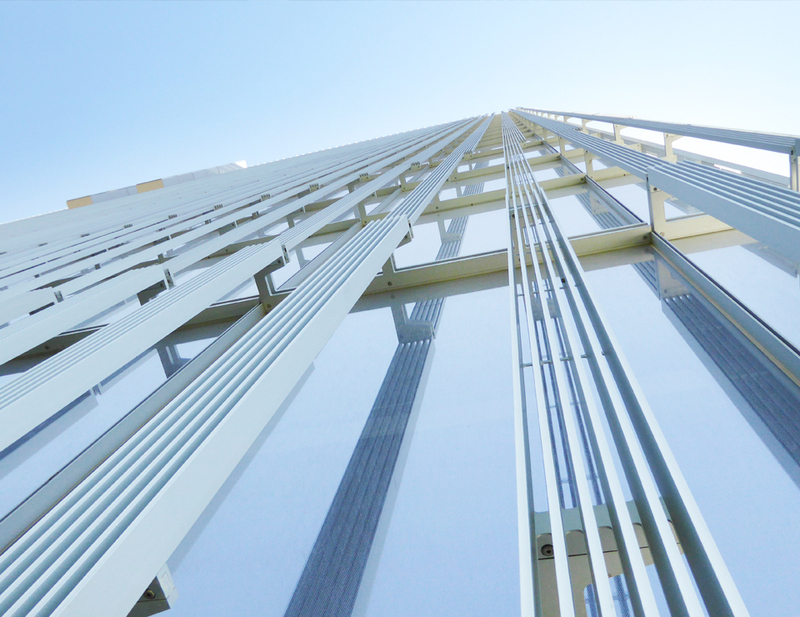 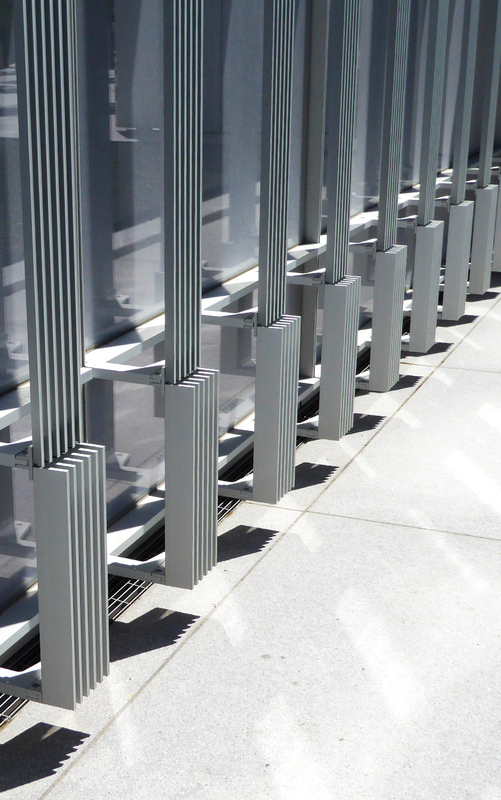 Blast resistance and seismic movement incorporated into design of unitized glass curtain wall system. 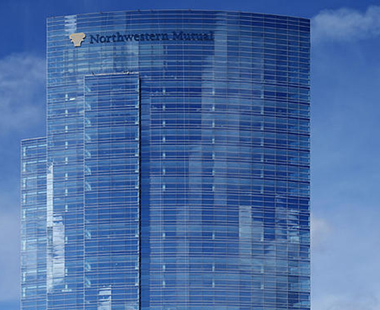 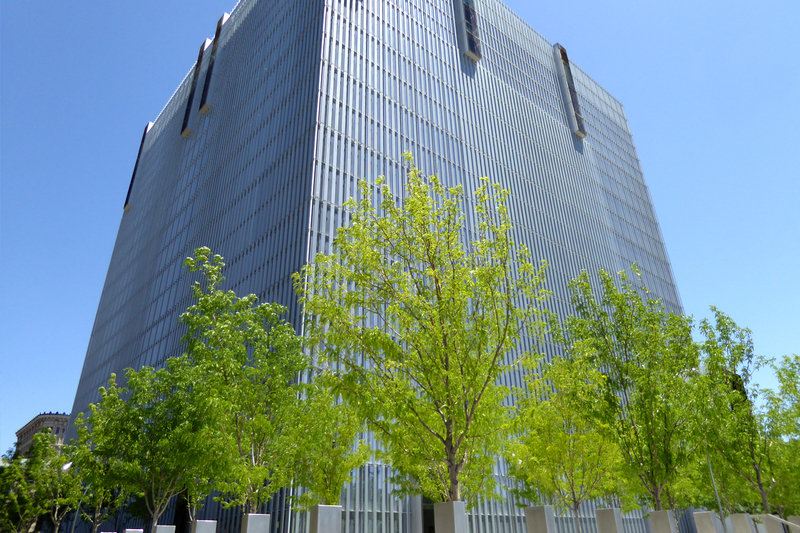 11-story courthouse building with 170,000 square feet of unitized glass curtain wall. 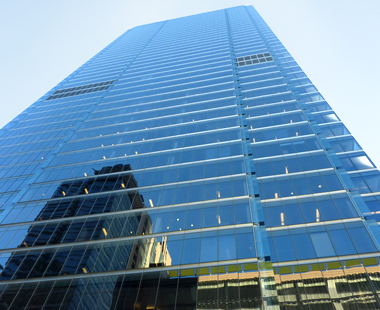 Features included exterior aluminum sunshades, polished stainless steel panels, and a point supported glass entry system. 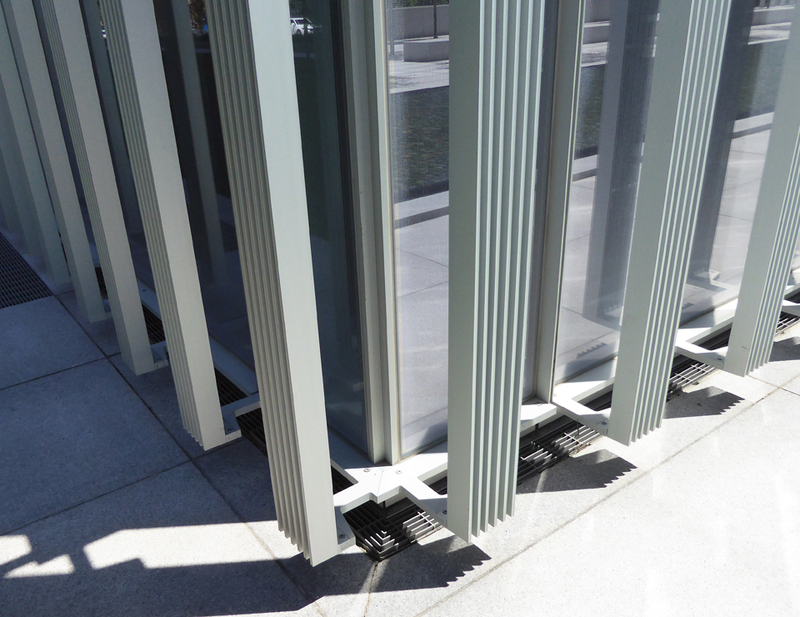 The curtain wall is designed for blast resistance in addition to seismic movement.